There’s no doubt whatsoever, that Jo Malone is the queen of packaging, every brand she has been involved with has understood the power of making boxes and bags so pretty (for every purchase, at every price point) that they’re ideal for gifting, making the concept of “gift wrapping” totally redundant in the process. 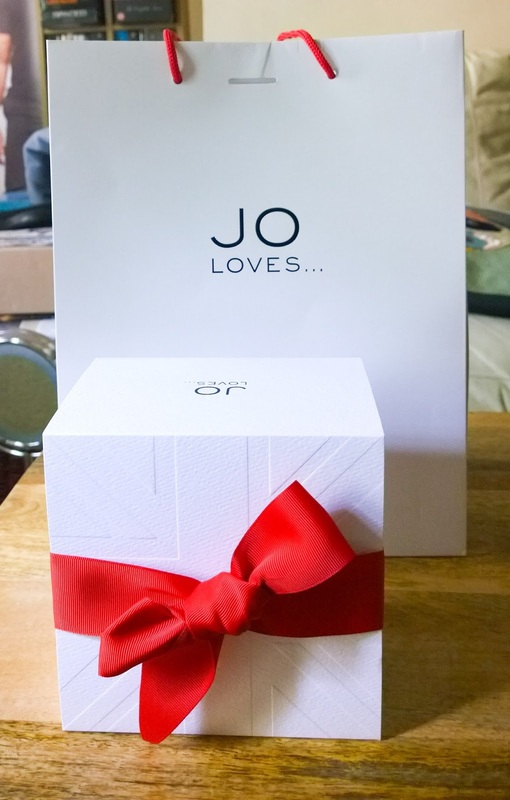 The latest launch in her newest brand, “Jo Loves” takes the concept up a notch, allowing you to create a “bespoke” shot candle in a very simple process (which was actually three years in the making), and have lots of fun doing it, too. 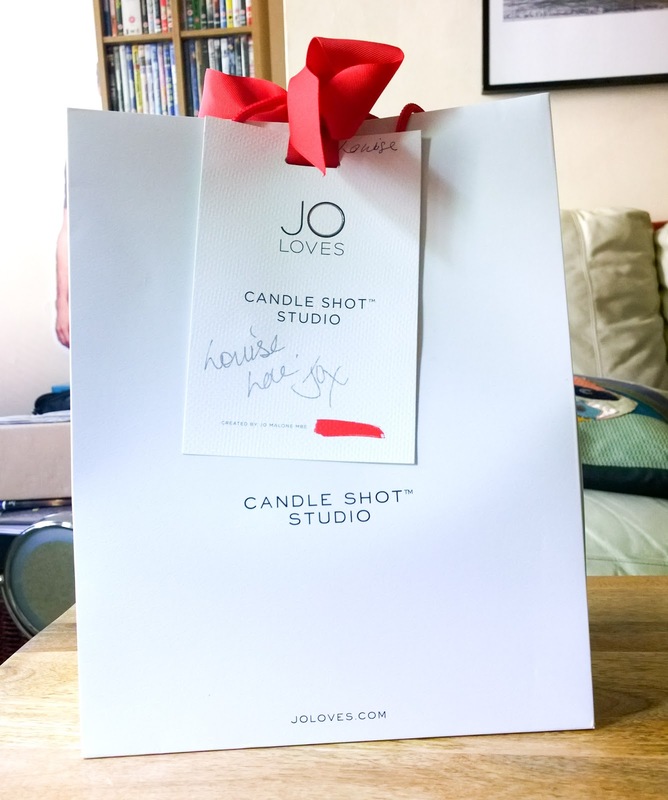 Tucked away in the back of the brand’s flagship store in Elizabeth Street in West London, is the Jo Loves Shot Candle studio, and here you pick a “base” scented candle, and a complementing “shot” to go with it. The two are then fused together in one large candle jar, and presto, your own bespoke scent! The bases are available in four varieties: Mint Mojito a fresh and bright minty scent, Charcoaled Lemons, which is both authentically citrus and slightly smoky, Tahitian Gardenia, which is flowery, waxy and almost bubblegummy in the glass, and finally Fig Tree, which reminded me of nothing so much as Diptyque’s Philosykos in candle form, it being green and figgy and woody and rather delicious. You then pick a shot to complement your base scent. You can either choose from the four bases as already mentioned. or from three other “shot only” scents, Mango, an almost photorealistic slice of mango, lemongrass (something my nose didn’t like at all, sadly) or petitgrain, which is reminscent of orange blossom, but with an added hint of wood and leafy greenness. Once you’ve selected your base and your shot (you’re given the scents to smell on painted canvas tiles), your candle is created. Using a blow torch to melt the base candle, the plug-shaped “shot” is pushed into the jar, and pressed down to create your “bespoke” candle, then the whole caboodle is packaged up ready to either burn for yourself, or to pass along to someone else as a present. Whilst there’s nothing particularly new about separate cores in candle making (it’s a particular bugbear of mine when you buy a “handpoured” candle, only to find when burning it that all they have done is “handpour” a tiny amount of fragranced wax around a separate – unfragranced – core and wick. It’s why many people don’t think scented candles actually smell of anything when they’re burning. I shan’t name names though) the presentation here is beautiful, and as both the shot and the base are scented, it’s actually a rather nice present for anyone, including yourself. If you can’t make it to the Elizabeth Street store, you can make your own shot candle online at http://www.joloves.com/shot-candle/ where they will cost £75 each.